New members will pay a fee of $40 for the first year. This amount includes International dues, LSU dues, a GSD pin and Fall Initiation Reception. In addition, new members must fill out the membership form here and send by mail or e-mail to Renita W. Marshall. 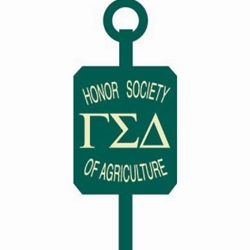 Membership renewal is only $20 which pays for LSU Gamma Sigma Delta chapter activities. In addition, there is a lifetime membership available for $300.